Since 1979, UTSA’s economic development programs have been building the economy, one business at a time. The University of Texas at San Antonio’s Institute for Economic Development currently hosts a variety of centers and programs that facilitate economic, community and business development at the local, regional and national levels. Programs serve the entrepreneur who is just starting a business to the experienced business owner looking for new markets to communities seeking to improve their economic health.The Institute’s diverse program portfolio is directed by Robert McKinley, UTSA Associate Vice President for Economic Development. Within UTSA’s institutional structure, we are housed in the Division of Research, Economic Development and Knowledge Enterprise, which is lead by Interim Vice President Bernard Arulanandam. For a complete list of our centers and programs, click here. The UTSA Institute for Economic Development is dedicated to creating jobs, growing businesses and fostering economic development. Our many centers and programs provide professional business advising, technical training, research, market analysis, and strategic planning for entrepreneurs, business owners and community leaders. Our programs serve San Antonio, the Texas-Mexico border area as well as regional, national and international stakeholders. Together with federal, state and local governments, and private businesses, the UTSA Institute for Economic Development fosters economic and community development in support of UTSA’s community engagement mission. The Institute continuously seeks ways for UTSA to grow and prosper along with the San Antonio community. Over the past year, the Institute has expanded its reach throughout the Eagle Ford region at home and internationally in Latin America and the Caribbean. At home and abroad, a healthy small business environment and thriving communities provide the dynamism and diversification for healthy economies. The Institute for Economic Development is proud to be a contributing part of UTSA’s mission to become a Top-Tier university. The Institute for Economic Development actively engaged 150 students annually that work in a variety of service roles. The Institute also collaborated with students in the College of Business for a Quickbooks practicum and with students in the College of Architecture and Public Policy to develop vision plans across for communities in rural Texas. As a part of an internship with the Institute’s Rural Business Program, UTSA student Gregorio Ortiz was tasked with organizing a student business plan competition during the program’s annual Texas Rural Challenge. As a result of the competition, three students were awarded a total of $8,000 to help start or grow their business. From his work with the Institute and graduate work in the Department of Anthropology, Ortiz was awarded a National Science Foundation Graduate Research Fellowship. He plans to focus his research on the social and environmental impacts of petroleum development in American households and livelihoods and explore the local ecological knowledge that is missing in the energy literature today. In 2014, the Institute conducted 44 research projects. The 4th installment of the economic impact of the Eagle Ford Shale was released in September of 2014, making the Institute one of the foremost authorities on the subject. Other clients include the West Texas Energy Consortium, San Antonio Economic Development Foundation, Bexar County Economic Development, and the San Antonio Missions parks. 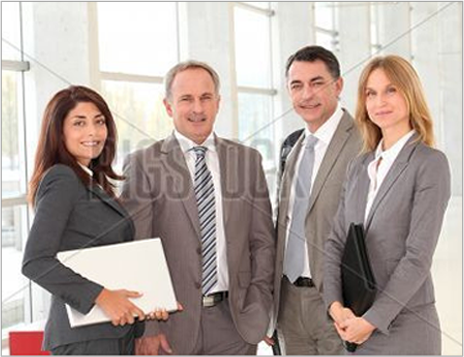 Our experienced Business Advisors offer clients the benefits of practical experience and proven ability in many areas, including accounting, agribusiness, economic development, finance, human capital, international business, legal issues, management, marketing, manufacturing, non-profit organizations, procurement, and technology. Our advisors meet the highest ethical standards of confidentiality with their clients. Economic development has been an integral component of UTSA for over 30 years, highlighted by the Economic Development Administration’s (EDA) partnership with UTSA. The EDA supported UTSA’s first community economic development programs, which have developed into the UTSA Institute for Economic Development. 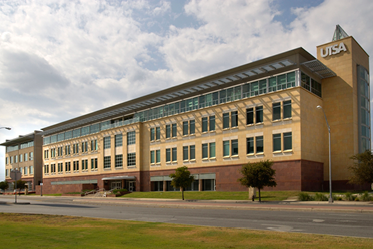 Our executive offices and most of our programs are headquartered on the UTSA Downtown Campus. The institute is a core program in UTSA’s advancement toward a Tier One university, providing excellence in teaching, research and community engagement.